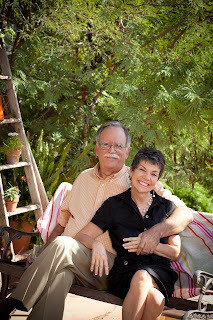 Satisfying Retirement is one of the leading retirement lifestyle blogs on the Internet. Over 3 million folks just like you have turned to these pages for help, advice, support, and a feeling of community as their retirement journey has taken shape. While thousands of blogs focus exclusively on the financial aspects of retirement, here you will find a blend of information and insight on all aspects of retirement: relationship-strengthening, finding your passions, time management, health and healthy living, aging issues and solutions, as well as financial guidance. On the left hand sidebar you will find links to all the archives of articles. Below that is a list of labels to help you zero in on posts that match what you are looking for. If you have any specific questions or interests, feel free to e-mail me and I'll be glad to point you toward some specific posts that might help. The right-hand sidebar includes a list of other blogs, several also retirement-focused, that I enjoy and recommend to you. The blog's e-mail is satisfyingretirement at gmail dot com. I will try to respond to your questions or concerns the same day. I am a happily-married (42 years) retired guy living in Arizona. I have 2 grown daughters who both live in the Phoenix area. I have three adorable grandkids. My Mom died in December 2010, and my Dad left us in early March of 2015. Do I still miss them? Absolutely. I was a rock and roll DJ in the 1960's and 70's...fun times, then researcher and consultant to radio stations all over the country. It was a fascinating career but meant spending many days away from home and flying 100,000 miles a year. Trust me, retirement is much better! I started blogging in June 2010 as a way to write, and push myself to learn something new. Satisfying Retirement expresses how I feel about my journey through this next stage of my life. My focus is on living a life full of purpose and joy - in short, a Satisfying Retirement journey. 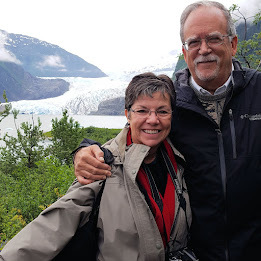 While retirement remains the focus, there will be times you will find my thoughts on all aspects of life as we move through this time of life together. I try to be as honest as I can in my posts. I am sharing my experiences and admitting when things have gone wrong. While I am a glass-half full kind of person, I have screwed up enough to know there are times of life when staying positive can be a struggle. I write about those aspects of retirement, too. Comment on a particular post or write me using the e-mail address above. I learn as much as I share from that type of feedback. You can also give me ideas for future posts, which I can always use. My e-books, Preparing For Your Financial Life After Retirement, Preparing to Make The Most of Your Free Time, and Preparing For Your Active Life After Retirement are available as instant downloads from Amazon. If you don't have a Kindle reader, you can download the books to your computer with a free reader, available right here. The 2nd edition of the best-selling, Living a Satisfying Retirement, is now available, both as an e-book and in paperback format. Welcome to my blog. Please visit often and become a friend. Keeping A Financial House In Order - Can We Help? How do you Listen & Respond? Snippets – Notre Dame, My Base, Facial Recognition, Stupid Things. What should adults and kids do for Earth Day 2019? Bob Lowry is the author of Preparing For Your Financial Future After Retirement , Preparing For Your Active Life After Retirement, Preparing To Make The Most of Your Free Time After Retirement and Living a Satisfying Retirement. Bob has been profiled in Money Magazine & CNN Money as well as Ad Age Insight White Papers. 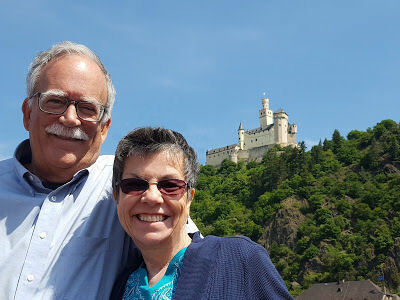 He is a featured author in nationally released book, "65 Things To Do When You Retire," "65 Things To Do When You Retire - Travel," "70 Things To Do When You Turn 70," and 80 Things To Do When You Turn 80." as well as an original contributor to PBS's website, Next Avenue. Satisfying Retirement adds no cookies or tracking apps beyond anything that Google, as the host source, may collect. We promptly unsubscribe you from email alerts to new posts at your request. We are sensitive to GDPR concerns. © 2010-2019 Bob Lowry and Satisfying Retirement blog.. Simple theme. Powered by Blogger.